In order to have a profitable trade show, there are many things that need to be done beforehand and while you’re there. Your business’s success at the trade show ultimately depends on your overall level of preparation. We’ve created a handy trade show to-do list below to get you started. First thing’s first, you will want to do extensive research on which trade shows will be the most beneficial for your business. 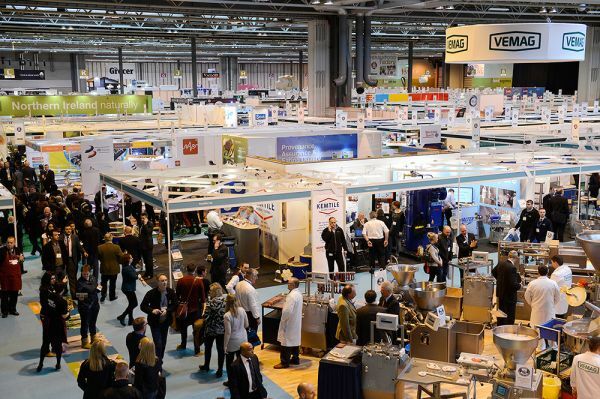 One of the most important things to look at is the trade show attendance. If your business is going to be spending a large chunk of money on a trade show booth, the amount of people attending should be a huge concern. It can be a waste of both time and money to attend a trade show that won’t have a large amount of foot traffic. Also, upon request, some shows may allow you access to the previous year’s attendee list. By having access of this list ahead of time, your team can then do some in depth research of the types of people that will be attending the event. The placement of your booth is incredibly important. In order to get a large amount of foot traffic, you will want to be placed in a prime location. Look over the floor plan to determine where the main traffic will be. Of course, prime locations like corner booths come at an increased price but it can be worth the additional cost. Typical booth space is 10x10, but at most trade shows there are options to purchase larger spaces like 10x20 and so on. You’ll want to plan out how you will set up your booth ahead of time, taking into account where you will place banners, tables, chairs, computer monitors, and anything else you plan on setting up in your booth space. While designing your booth, you will want to make sure your booth is appealing to customers who walk by, since 81% (4 out of 5) people walking the aisles have buying authority. Aim to create an inviting space where attendees can step into the booth area to talk to your team members to learn more, watch a video, grab a snack and some swag, and want to spend time there. Making the space inviting will ensure people stay longer, rather than just walking by your booth, grabbing a free pen and then continuing on their way. Marketing in advance is major for trade show prep. Send out emails inviting potential leads to let them know you’ll have a booth at an upcoming trade show and want to personally invite them to come check it out. Also be sure to post about going to the show on all of your business social media pages consistently leading up to the event and on the day-of. Host a Facebook Live at the event to engage with your followers who could not attend the event in person. You should begin to plan out your trade show key performance indicators (KPIs) weeks or even months before the trade show. Getting together as a team and writing up a list of goals to achieve while at the trade show and after is very important. 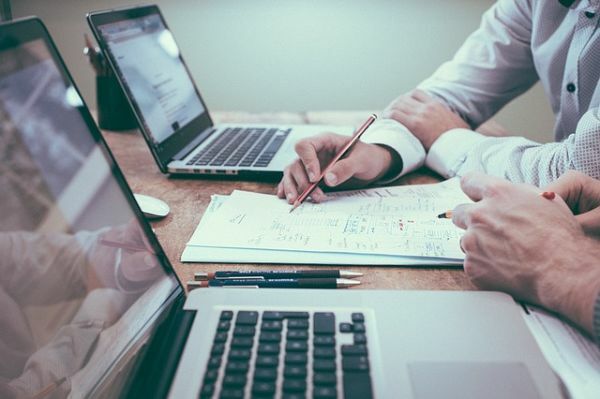 Having KPIs set ahead of time will give the team time to strategize on what they should focus on while they’re networking with different people. Maybe even add some incentives to further inspire the team to meet their goals. 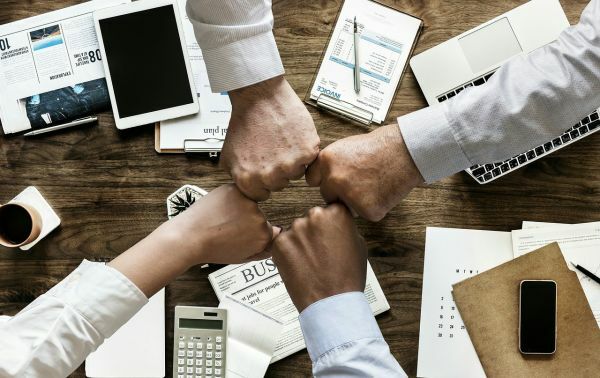 All in all, it’s crucial to bring along a knowledgable, goal driven staff, since 85% of an exhibitor’s success lies in the performance of the staff. Before heading to the trade show, put a list together of trade show giveaways you can hand out to attendees. If you have a small budget, little knick-knacks such as pens, coffee cups, notepads, or key chains are all great giveaways. If you’re able to spend some extra money, a great way to advertise – both at the trade show and even after – is by handing out reusable bags with your logo on it. Not only will attendees use your bag while they’re at the trade show, but also many times will continue using it for personal use in their everyday life. Hosting a trade show raffle at your booth is also a tremendous way to bring people into your booth and an even better way to bring people back to it. Hand out tickets to everyone that comes into your booth and tell them they must be present at the time of the raffle, that way they have to come back to your booth for a chance to win. If you have the resources, a big-ticket raffle item like an iPad, smart watch, or Bluetooth speaker will further entice attendees to want to win. Having brochures or handouts for attendees to take is an essential to have at your trade show booth. Giving out flyers is crucial, because this is what people will be looking back over once they leave. Handouts are also a great way for people to share your business information with others who weren’t able to attend the show. Include some educational take-aways on your flyer to increase the value for the attendee, or a discount code for your product or service. This will ensure attendees will want to hang on to it. As for the staff members who are working the booth, a few trade show essentials to bring with are, water, snacks, chapstick (talking a lot can give you dry lips), mints, and hand sanitizer. In order to have a successful day you will want to make sure your staff is being taken care of and are fueled up for the day. It is also essential to decide on a trade show uniform, that way everyone at the booth looks professional. Order shirts or polos with your company logo on them for increased brand recognition. It is extremely important that your staff has proper trade show etiquette. Make sure everyone on the team has read the trade show rule book and adheres to them, such as not soliciting outside the booth space, playing music or videos too loudly and disrupting nearby booths, blocking the aisles, etc. Although this is a given, make certain everyone is on their best behavior and acts professionally. Anything that is said or done within the booth is a representation of the company; protect your reputation and keep it professional. Remember that your success at a trade show strongly depends on your overall level of preparation. 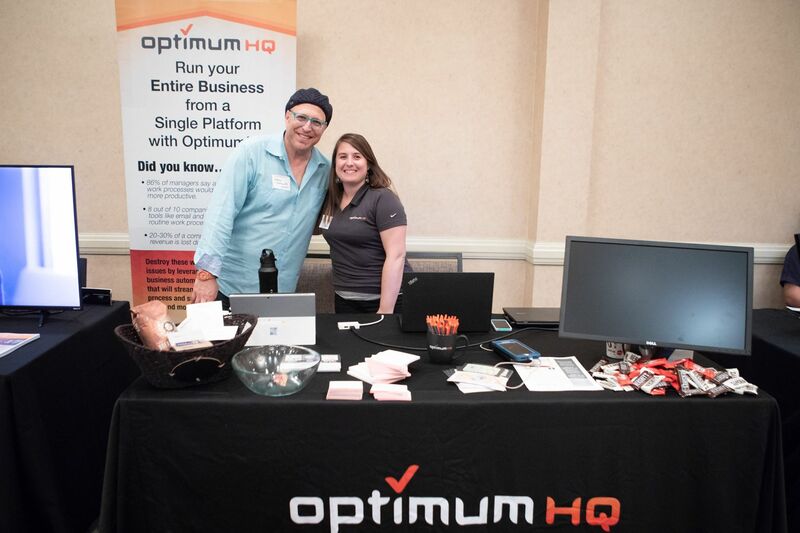 What are some of your tips for having a great trade show experience? 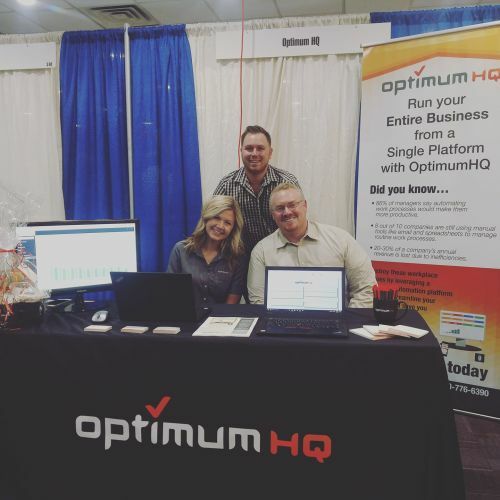 Come check out the OptimumHQ booth at the upcoming Small Business Expo in Phoenix on October 31st for a real-life example of a well-executed trade show booth!